We provide a variety of services to businesses, from professional advice to planning, project scooping, outsourcing, and business process management. Our goal is to align your business with the technology trend that helps your business to succeed, especially in mobile and web solutions. Today with the massive change in the internet and the possibility to create and share content and the fact the most of the companies are working to optimize their content and mange it. we provide certain consultations related to content management based in our experience in the area and the partnership we have with other expert vendors. Soical media usage and invlonace has incresed in the last view year, therefore we see the potintal and we create a complate strategic plans to manage and get more engeged with coustomers over soical media like Twitter, Facebook, Google+ and Instgram. Part of our expertise is improving search engine rankings of websites. SEO experts analyze the websites of the competitors, and specify settings and content best practices. They monitor the web for the most popular keywords that provide the largest number of hits in the topic or domain most related to the company. SEO specialists include these popular search engine words and phrases in the website of their clients, which is a fundamental task in Search Engine Optimization. 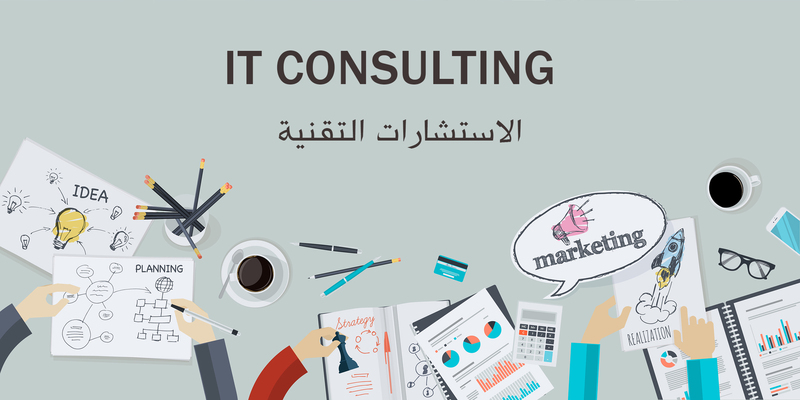 We provide outsourcing in any IT field you may need by hiring technical and management employee full or part times, also we contribute in your planning including cost-efficient IT investments to improve online presence as well as start-up businesses. Tracking and traffic monitoring services that provides information about visitors and can be used to track the activities relevant to the business.